You trusted your best friend… you shouldn’t have. But what she is about to learn is that one mistake is all it takes; that if you’re careless with those you love, you don’t deserve to keep them. When Vicky risks everything she holds dear on a whim, there’s only one person she trusts enough to turn to, her best friend Amber. One little lie. One little secret. One little mistake could destroy her world. One Little Mistake focuses on Vicky Seagreave, a woman who seemingly has it all, a caring husband, three healthy children and a beautiful home. However, all of this is thrown into jeopardy when Vicky makes a rash decision, a decision she is said to have repeated in the past, only this time it brings grave consequences with it. Feeling like she’s set to lose everything Vicky leans on her best friend Amber for support and advice, but does Amber really have Vicky’s best interests at heart? The very core of this novel focuses on the act of making mistakes. Whilst many will be shocked at what Vicky does, I feel like what follows is far greater than any of the mistakes she’s made. This is a novel that makes you think if you were in the same situation, what would you do? As Vicky tries to bury her mistakes, she is drawn deeper into more lies and deception that threaten everything she has. I did sympathise with all of the characters in one way, they have all been let down in some way, lied to, or hurt. One Little Mistake, shows the pressure and psychological toll family life, marriage, friendships, and feeling neglected can have. This is shown through the split narrative of the novel, as it flits effortlessly between the past, set eighteen years earlier, and present. My favourite aspect of this novel was how Curtis presents the relationship between Amber and Vicky. The two have been best friends for years, they care for each other’s children, and they are constantly around each other’s families, they are seemingly inseparable. However, it is very clear that Amber is envious of Vicky’s life. Amber see’s Vicky as someone who has not had to work for everything she has, everything just comes easy for her, and Vicky takes all of it for granted. On the other hand, Amber feels as though she has had to fight to get to where she is in life, and is still unhappy with what she has. It is in Amber’s point of views that we get to really understand how she feels about her ‘best friend’, it is clear she jealous and wants to use Vicky for self-gain. My favourite character in One Little Mistake is Vicky. I find her endearing and truly believe she is a good mum. However, I did sometimes want to shout at her for being so naive and hiding Amber’s alarming behaviour from her husband Tom, although I know this is because she was scared of tales of her own rash behaviour being revealed. I would like to have read more of Amber’s point of view in the novel. Whilst we do get a good glimpse into her life, I found myself wanting to read her POV more so when we started to see her darker side, and would have liked more of an insight into her present day family life. Overall this book had me gripped, not just with fraught friendships/relationships but with the second story that follows all the way through the novel. The ending was to be expected, but there are some clever twists thrown in to make it a dramatic and a novel that will stay with you. There were some loose ends that I felt like I needed the answers to, but I can promise you won’t be disappointed with this novel. It’s claustrophobic, intense, and most importantly, it will shock you. Hello! Hope you’re all having a lovely week! A couple of weeks ago the lovely Emily from That Autumn Girl nominated me for the Liebster Award. For those of you who haven’t heard of the Liebster Award, the aim is to get to know and discover new bloggers by answering eleven questions! 1. Answer the 11 questions that your nominator has asked you. Where in the world do you want to travel to? I’d love to travel around Asia! I have never been anywhere in Asia, but it always looks incredible! My top 3 places to visit there would probably be: China, Singapore, and Indonesia. Wow this is a toughie! If I had to pick just one, it would have to be Thanks for the Memories by Cecilia Ahern. It’s a beautiful and quirky story and one I’ll always go back to. Although like many the Harry Potter series will always have a big place in my heart too! This is probably the most difficult question for me! What are some goals you have? What is the reason why you started blogging? I have always had a passion for writing, whether it is poems and stories when I was younger, to word documents that simply just held my thoughts. I have always enjoyed reading other blogs, and thought one day ‘Why don’t you do this? 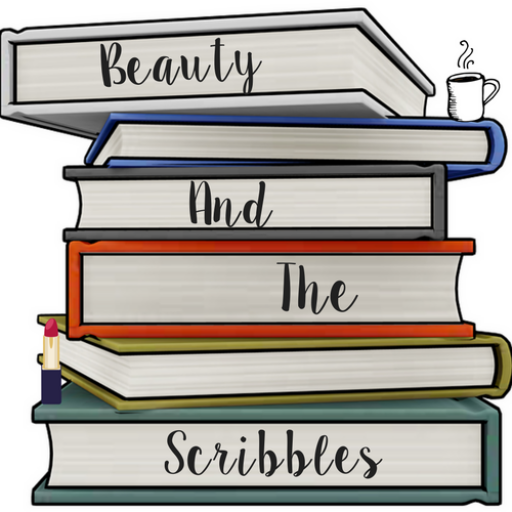 Why don’t you write about what you love?’, and so Beauty and the Scribbles was created! My favourite subject at school was English Literature of course, for all the reading! Favourite song at the moment is You’re in Love with a Psycho by Kasabian. I swear it’s been played 100+ times and I’m still not sick of it, my boyfriend, however, is now not a fan! I have a Shih Tzu called Timone. He’s featured on my social media quite a bit (yes, I’m that girl that always posts pictures of her dog!). He is the best little thing and I can’t imagine life without him. He has such a lovely nature and you barely know he’s there half the time. He’s been my best friend for eleven years now, and I look forward to many more! I go to the gym a couple of times a week to do spinning classes, and go for runs on the treadmill. I enjoy reading books, and am getting through a lot more now they’re involved in my blog! Breakfast is the best! Favourite breakfast food is poached egg on toast, or scrambled egg with peppers on toast. If it’s a quick breakfast then it’s crumpets everytime! My favourite colour is aquamarine blue, my birthstone. Who is your favourite blogger and why? Let’s share the love, make sure to tag them! If you could learn a new language which would it be? What is the reason behind your blogs name? You’re having a party and can invite any five people, who would you invite? Thank you for the tag Emily! I really enjoyed doing this! The ones that are always there for me, without judgement or question, my endless support network, I am thankful to have a family that is there for me. They are my heart and soul, and have made me everything I am today. I am thankful that I have grown up knowing that I am loved and cared for. Thank you for being there through all the highs and lows of life, and always managing to put a smile on my face whatever the weather. In summary, you guys are the best. I’m thankful that I have those people in my life who will celebrate with me when things go right, and stick by my side when things don’t. I’ve always been a firm believer in the saying that it’s not about the quantity of friends you have, but the quality of them. The friends I have are loyal and have supported me through my life so far, and I know that they will still be there for me in years to come. I treasure all of the memories I have with my friends, from the times we have laughed until we cried, to the times we’ve picked each other back up in the more difficult times. I know these are the people I can depend on whatever the situation. Me and Ryan have lived together for over a year now, and I still can’t quite believe it! Living with someone outside of my family has taught me a lot, and we are very much used to each other now. Like all relationships we’ve had the good and the bad times, but it’s all part of life. I’ve found the person who can really make me laugh, who I feel comfortable around, who cares for me and above all, is there when I need him. He’s my best friend, my confidant, who will listen to all of my worries and concerns. He keeps me sane (credit where credit’s due, no easy feat) and that has changed my life for the better. I’m that person that’s Instagram is pretty much 85% pictures of my dog. Timone (yep, as in the Lion King) is one of my best friends, and is always happy to see me walk through the door. He has the best personality, a mixture of placid and playful, and despite being 11, still behaves like a puppy at times. I love him unconditionally. Knowing my loved ones are safe, happy and healthy means the most to me. I think as I have grown up, health has become something that I am more appreciative and thankful for. Above all, I am thankful to live in a society where healthcare is readily available and medication is accessible. I love surrounding myself with happy, positive, care-free and love-filled people. I recently purchased a Thankful Diary, because I believe it’s so easy to focus on all the bad parts of a day and let it grind you down. My diary asks you to list three things morning and night that you are thankful for. It really helps me to think about all the wonderful and positive things in life instead of the latter. Life should be full of happy moments. Last year I decided I wanted to leave my small hometown in North Wales and move to the city of Chester. After attending uni here and finding work, it already felt like a good majority of my life was here. My boyfriend also found work here, and we both liked the idea of finding somewhere for us both to live. After months of searching we found a lovely little apartment in an amazing location. We have made the apartment our own and it really does feel like home. I’m grateful for the opportunity to live in such a pretty city. Books have always been a huge part of my life, and it’s very rare you’ll find me without one. I love reading and the comfort it provides. Had a bad day? Pick up a book, it’s a great escape. Reading inspires me and gives me fuel to write my own content. One of my greatest wishes is to write a book of my own one day. It’s good for the soul and over recent weeks, we’ve seen how it can unite and bring people together in dark times. I love music and going to gigs is one of my favourite things to do, nothing beats the rush of seeing your favourite person/hearing your favourite songs live. I love making mood playlists and have one for the good and bad days; I find it really helps to make me feel better.